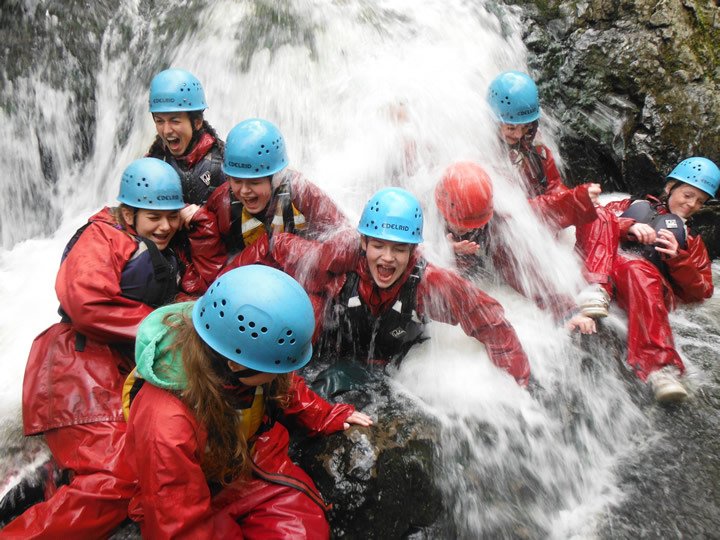 Gorge walking in the Brecon Beacons is a very popular activity. Or just a good fun day whilst journeying through some spectacular scenery! Challenges on the way are set to meet the groups’ ability. Traversing behind waterfalls and leaping into deep and safe pools are some of the challenges. Buoyancy aids, wet suits and helmets are provided and must be worn.. Qualified instructors lead these adventurous walks.